Guild Film Screening at Screenplay Shetland. We’re delighted to be part of the opening night of Screenplay 2017 in Shetland. 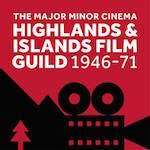 Join us at the Hillswick Community Hall for this special event recreating the experience of the Highlands & Islands Film Guild. Enjoy a typical Film Guild programme shown on 16-mm and including the feature film Scott of the Antarctic (Charles Frend, 1948), a 1950s newsreel and a cartoon reel. Scheduled as part of our Shetland case study, this event takes place at 7:30 p.m. on Friday, 25th August 2017. For tickets and more details, please check out the Screenplay 2017 programme.